Taking its name from the river that forms its north-west border, the district of Waveney in Suffolk is home to what are arguably some of the most beautiful villages in the county. From hosting picturesque beaches to sites of great historic significance, here are some of the best places in the district for sampling a slice of rural life. As one of the fastest growing market towns in the country, Beccles is a spot along the Waveney Valley that should be on everyone’s to-visit-list. Located at the southern tip of the Norfolk and Suffolk Broads, this town was once a flourishing Anglian river port. Today it still has many buildings of architectural and historical interest, such as the Leman House in Ballygate, which is grade one listed and now hosts The Beccles Museum. Beccles was also once home to Catherine Suckling, the mother of none other than Lord Horatio Nelson. In the thriving town of Beccles you won’t be short of things to do. Head to the popular quayside area, fondly known as the ‘Southern Gateway to the Broads’, where you can board the ‘Big Dog Ferry’ and take a trip up the River Waveney. On this three-mile trip be sure to keep your eyes peeled for local wildlife. Pay your weekly visit to the historic Beccles Farmers’ Market which takes place on Friday mornings, giving a real community feel. The Beccles Lido is great for families, complete with a toddlers’ pool, paddling pool and inflatable slides. Just four miles outside of the town is the child and dog friendly Wherry Inn selling classic pub food and acting as the perfect place to wander along to on a sunny day. There are a plethora of places for visitors to stay in Beccles such as the superb riverside Waveney House Hotel or the self-catering accommodation at Catherine House. A stunning hamlet located on the North Sea coast, Covehithe is rich with fascinating history. Evidence collected suggests that this was an area once inhabited by the Romans, with discoveries including a possible section of a Roman road, old bits of pottery and even the remains of a Roman enclosure. Anglo-Saxon remains have also been discovered in Covehithe including the remnants of what is thought to have been a cemetery, and during the Middle Ages this area prospered as a thriving small town. Since then costal erosion has been the foe of Covehithe, with the town increasingly falling victim to the ways of the sea. Although all that now remains is the hamlet, you won’t find many more scenic places to live. Covehithe boasts a beach which is said to be one of Suffolk’s best kept secrets, so pay its shores a visit before everyone else finds out! Accessible only by footpath and with no real facilities, it remains very much in its natural state and offers its visitors an idyllic retreat from daily life. It is particularly good for paddling out at sea, and is also a popular spot for dog walkers. Although not for the faint-hearted, there is a fantastic coastal walk with stunning views out to sea. With little else in Covehithe, you’ll have your own piece of tranquil rural life. Your local watering hole is just a short walk away in the nearby town of Wrentham where you can drop into the popular Five Bells Inn. Halesworth is a small market town which stands on one of the tributaries of the River Blyth and so handily situated just nine miles upstream from the larger town of Southwold. The settlement has its origins in the Roman era and the medieval St Mary’s Church is still standing - although there were some Victorian alterations made - while the Market Place forms the centre to the town, with the oldest house here dating way back to 1350. Markets continue to be held here every Wednesday, where you can join in with village life by buying fresh local produce. The Thoroughfare was once the sole busy route through the town, but is now a pedestrianised shopping street where you’ll be spoilt with an array of independent shops to visit. To find out more of Halesworth’s fascinating history, you can visit the town’s museum which is housed by the Halesworth railway station, or for a taste of culture visit the Cut Art Centre. Here you’ll discover a selection of music, theatre, dance and comedy exhibitions. You won’t be short of places to eat either: try out the traditional family run restaurant, Edward’s, or visit The Hideout Café for perfect tea and cakes. The town also has many good primary schools and nurseries, so is great for young families. Situated around 2 miles south-west of Beccles, Ringsfield is a hidden gem in the Waveney Valley. The area has an interesting history behind it: in the graveyard of the village’s All Saints Church can be found the memorial and gravestone of American born Princess Caroline Murat, the granddaughter of the King of Naples. She lived and died at Ringsfield Hall following her marriage to John Lewis Garden, whose family resided here. The Hall was built in 1823 by John Garden himself in order to replace the previous Elizabethan building, and is set in 400 acres of luscious parkland. Today Ringsfield Hall acts as an eco-activity centre, a great place for little explorers to learn about the outdoors as well as a being a place that offers great group accommodation. Just a school and village hall accompanies the beautiful rolling countryside of Ringsfield, providing you with all you need if you’re seeking a quieter lifestyle. However there is a local pub in the form of the Ringsfield Arms, which offers wild-boar hog roasts with the boar having been locally reared in the fields just across the road. Other options on the menu include gammon and suckling boarlet, as well as a good selection of local ales. To find further places to eat you could take the ten-minute car journey to Beccles where you’ll discover an array of places to meet your needs. Gisleham is a village lying on the western edge of Lowestoft and its name originates from the Old English for ‘Gsyla’s Village’. 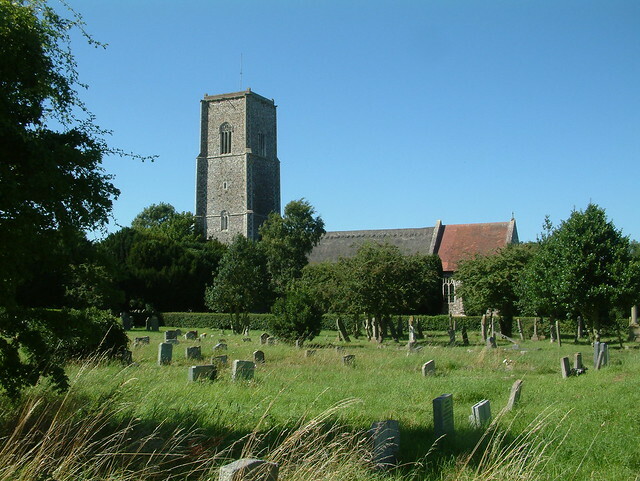 The area’s pretty church, Holy Trinity, is one of only 38 existing round tower churches in Suffolk, with its base being either Anglo Saxon or early Norman and topped with a 15th Century octagonal brick crown. The village is also home to the moated site of Gisleham Manor dating well back to the 13th Century. It is believed that a manor house used to exist on this site within the moat, but the buildings no longer remain. The moat, however, is still present despite the fact that it has been filled in. The village remains to be an important archaeological site for research of the medieval and post-medieval periods. Other than stunning rural surroundings which make this area somewhere you can’t help but fall in love with, there is the nearby Bell Inn situated just a few minutes drive away. This is a traditional country pub, with an extensive menu offering all the usual favourites including everything from burgers to a shepherd’s pie. The children’s options are also great, making this pub a favourite for families. The larger town of Lowestoft is conveniently located a stones throw away where there are a number of excellent schools but you’ll still feel a whole world away in this secluded village. Famous for being the most easterly settlement in the UK, Lowestoft is a thriving coastal town in the Waveney Valley and has been for almost the entirety of history! Some of the earliest human settlement in the country has been traced to Lowestoft, with evidence of habitation stretching back an incredible 700,000 years. Today the town offers spectacular sandy beaches such as Claremont Beach which is great for water-sport fans, and many of the beaches are dog-friendly so your pooches can come along too. If you’re willing to set an early alarm, watch the picture-perfect sunrise from Ness Point and you’ll be sure to realise why Lowestoft is the much-loved town that it is. With its positioning just twenty minutes from the nearby town of Great Yarmouth, you will be spoilt for choice with good primary and secondary schools within a short drive away. For fantastic places to eat, you won’t need to venture far because Lowestoft is well known for its great selection of restaurants. If you are a sea-food fan, you’ll love the Jolly Sailor with its views out to sea, or for a 1920s themed dining experience try the Rocksalt Brasserie on Claremont Pier. The shopping in Lowestoft is wide ranging - with over 40 national retailers as well as many independent shops, shop-a-holics will be in heaven! For a beautiful coastal town, you need look no further than Southwold with its wealth of things to do and its fascinating history. Situated on the North Sea coast and at the mouth of the River Blyth, this town occupies an Area of Outstanding Natural Beauty. With the spectacular views and beaches that seem to stretch on forever, it is easy to see why! Southwold is mentioned in the Doomsday Book of 1086 as being a fishing port, but the accumulation of shingle across the harbour prevented this town from being a more major early modern port. A fire ripped through the town in 1659, destroying many buildings and creating a large number of open spaces which have never been filled since. Take a tour of the 31-metre high Southwold Lighthouse to experience unforgettable coastal views, or visit the famous Southwold Pier complete with attractions such as the ‘Whacky Wall of Mirrors’ and its own shingle beach to provide fun for all the family. If you are a beer-fan, a trip to the Adnams Brewery is a must where you can see behind the scenes at one of the UK’s most modern breweries, as well as creating your own gin! For fish and chips with a twist, visit the Sole Bay Fish Company situated right by the harbour, or head to the Harbour Inn for a varied menu complete with fantastic water-side views. With its mix of both state and independent schools, as well as its cornucopia of things to do, Southwold is a great location for families. A picturesque village with stunning beaches, Kessingland is the perfect place for escaping the hustle and bustle of day-to-day life. It is believed that a settlement has been on this site since the Palaeolithic times, with Palaeolithic and Neolithic implements having been found here by archaeologists as well as the remains of an old forest lying under the sea-bed. The village is home to St. Edmund’s Church, which was built in 1436 and features a 30-metre high tower that was originally intended to act as a beacon for incoming ships. As well as the sand and shingle beach which offers activities such as wind surfing, Kessingland is also the location of Africa Alive, an African themed wildlife park which is the ideal place to visit with budding zoo-keepers where they can say hello to over 80 species of animal. Although there is little else in Kessingland, it is situated directly between the towns of Southwold and Lowestoft where you will find many amenities such as schools and places to eat. However, with Kessingland’s amazing scenery you may well feel that you never want to leave. With its superb location on the edge of the Broads and on the neck of a meander of the River Waveney, Bungay is a market town that makes the most of the stunning Suffolk countryside. The ruins of Bungay Castle still stand today, which was built by the Normans and had a long association with the powerful Bigod family. Admission to explore the ruins is free, or you can venture in to the bustling town centre and view the historic Central Buttercross. Constructed in 1698, this was where farmers would come to display their butter, and so is a fascinating piece of the area’s history. Alongside chocolate-box style streets, the town centre offers a wealth of independent shops and cafes, providing its residents with all that they may require. There is both a primary school and a secondary school in the area, meaning that Bungay caters for everyone. Bungay is a paradise for keen walkers, with there being a number of specific routes that you can follow to take in the area’s stunning scenery. The Bigods Way is a total of ten miles so you’ll need to be feeling adventurous, or alternatively you can cycle along the Godric Way and enjoy the views from the saddle. For the perfect afternoon tea in a pretty garden setting visit the Buttercross Tea Rooms, or make a trip to The Castle Inn dating back to 1566 where you can have fresh fish delivered from nearby Lowestoft. Conveniently located just 2 miles from Beccles, North Cove is a quiet village tucked away on the edge of the Broads and to the south of the River Waveney. It is steeped in history, with the village first appearing in official records in 1204. The parish also dates back to the 12th Century, and the area is home to the historic Wade Hall where you can visit the moated memorial site. Wade Hall itself still stands, and is now a listed building. Although featuring little else other than spectacular countryside North Cove comes with its own pub, so you won’t have to travel far to get your pint! The Three Horseshoes is thought to be one of the oldest pubs in Suffolk having been in North Cove since 1497, so for this reason alone it is well worth a visit. The area is also home to Barnby and North Cove Primary School so little ones won’t have to travel far either. For amazing wildlife you have the SSSI Barnby Broads and Marshes just on your doorstep.